It’s a simple fact: We live in a toxic environment. The food we eat, the water we drink, the air we breathe, household items we buy and even our dry cleaning is loaded with environmental toxins. To make matters worse, our homes and offices are contaminated from chemical-laden carpeting, furniture, drapes and building materials. Don’t eat. Don’t drink. Don’t breathe. That’s the only sure way to avoid dangerous environmental toxins. But how long can you keep that up? Even the most careful and conscientious choices we make can't fully protect us from the cumulative effects of environmental toxins that can rob us of optimum healthy. 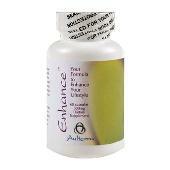 But Aulterra Enhance can help. Aulterra is a homeopathically activated combination of natural paramagnetic and diamagnetic elements that neutralize the effect of heavy metals and other toxins on human DNA. Noted DNA researcher Glen Rein recently completed a study in which he as able to ". . . clearly demonstrate the ability of the energy from Aulterra powder to neutralize the toxic effect of copper on human DNA." Each Aulterra capsule contains 500mg of a proprietary blend of natural rock powders and minerals from a natural mineral deposit from an ancient seabed that provides properties characteristic of a high concentration of naturally occurring monatomic minerals. The suggested dose is two capsules a day, and best results are obtained with continuous use. The capsules are vegan and non-GMO. Use as a dietary supplement, take one capsule 2 times daily for maintenance. To detox the body, you can take up to 6-8 capsules per day but be aware that it could cause detox sickness if you take too much to fast.